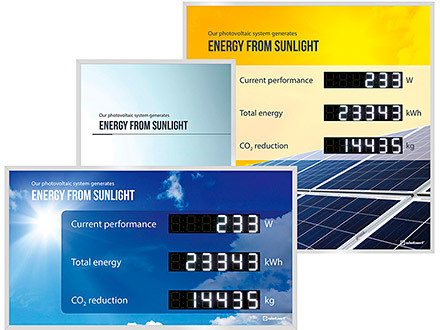 With future-orientated technology you invest in renewable energies. 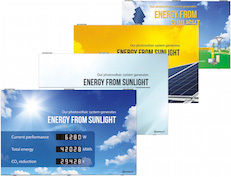 But how does the public becomes aware of your commitment to the environment if the photovoltaic system is not visible on the roof? 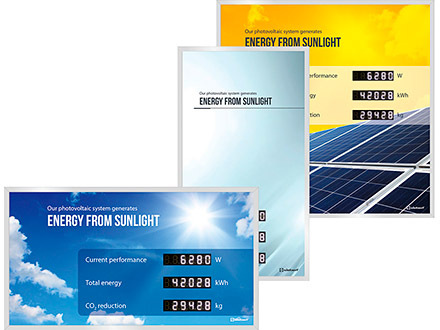 With Siebert digital displays you make your solar system and its performance visible – in the foyer, in the entrance hall or public appeal outdoors, and you have the efficiency of your solar system at a glance. 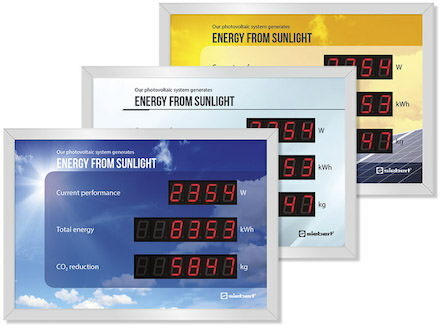 Siebert digital displays are suitable for any photovoltaic system and can also be connected subsequently to existing systems. 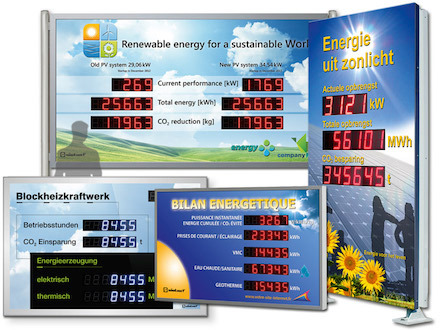 The latest LED technology is used in Siebert digital displays. 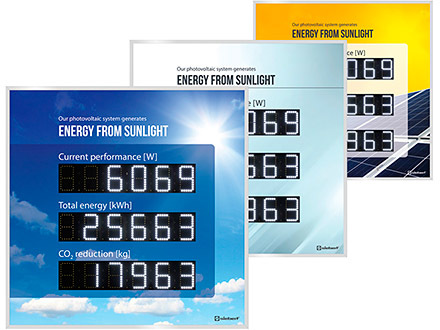 LED displays distinguish themselves through their high luminous power and durability. Their big viewing angle allows convenient and reliable reading even when looked at from the side. The LED digits light actively and draw spontaneously – differently acting to passive LCD displays – the attention of the viewer. 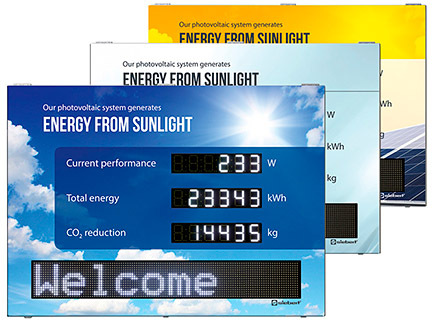 An intuitively software allows easy and fast parameterization of the displays. Furthermore the series XC440/XC450, XC460/XC470, XC480 and XC445/XC455 can be parameterized via Bluetooth. 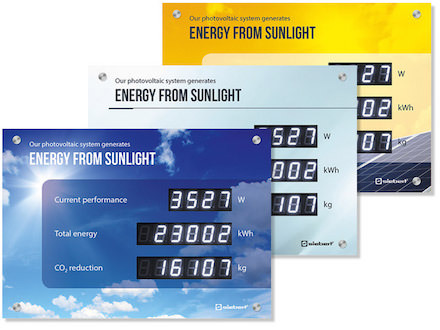 Siebert digital displays are based on decades of experience in the development and manufacturing of digital information systems. 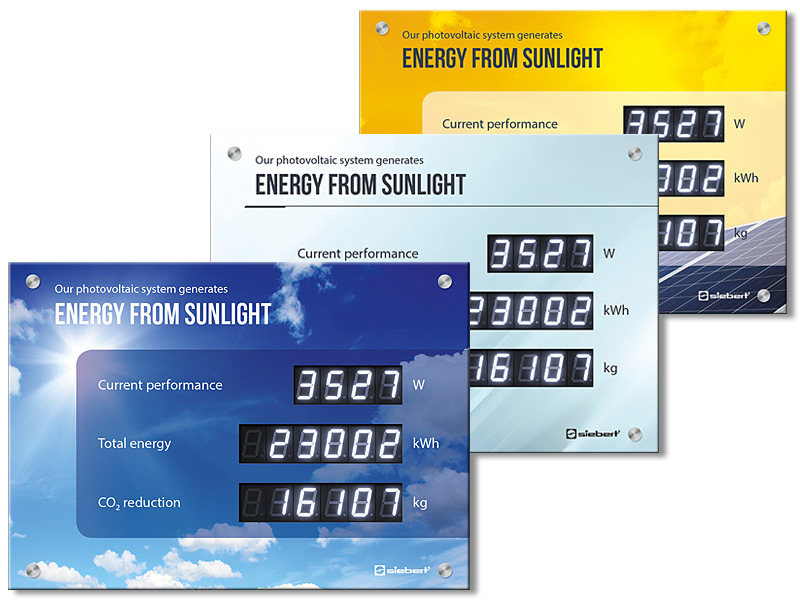 The systems are continuously developed further, new technical standards are implemented as close as possible to the products. Downward compatibility is always a target.